appears centered when looking through your barrel. Bore sighting is a popular technique that helps position the crosshairs of your scope "in the ball park" very quickly. After this, you'll still need to fire a few shots to get sighted in perfectly, but it will almost always adjust your bullet impact within a few inches or less. I like to use a 25 yard pistol target located 100 yards away. This size target usually provides the best view for bore sighting at 100 yards. 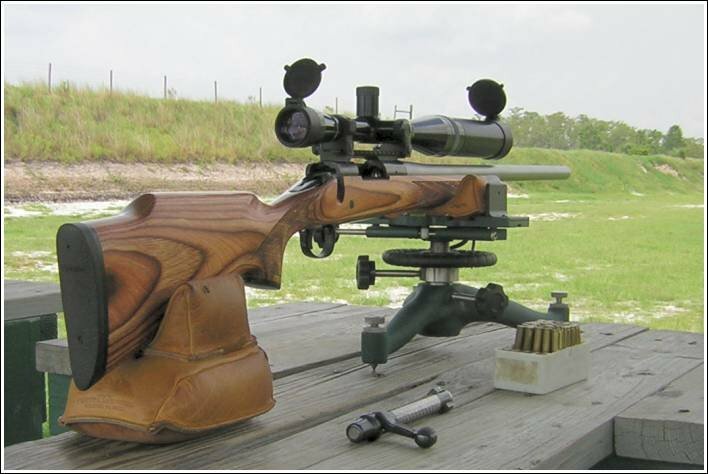 Start by removing the bolt, then using a good rifle rest. Position your rifle so that you can look through the barrel and see the target. Be sure that your rifle doesn't move - until after your scope adjustment is set. show the target centered like this. Bore sighting is an easy preliminary method of sighting-in that doesn't require special equipment. It's an easy procedure, and all you need is a rifle rest that can hold your rifle steady, while you make the scope adjustments. I've seen many new shooters that would have saved lots of time and ammunition, if they just knew how to bore sight their rifle. If the crosshairs look like this . . . . do you know how to adjust them? 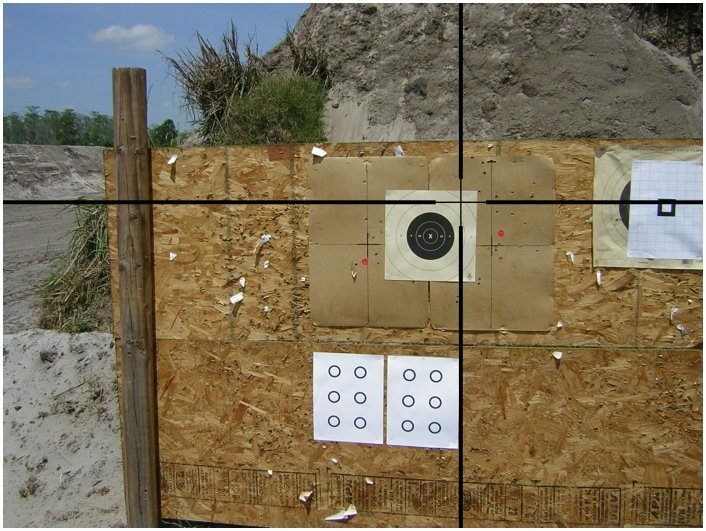 Now that your rifle is as steady as a rock; and your barrel is perfectly lined up with the target, you know that your crosshairs also need to be centered on that target. However, this is where shooters often get confused. 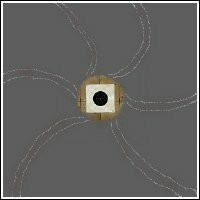 You don't want to move the crosshairs LOW and LEFT according to the turret markings, because that would move your bullet impact right off the target. The markings on scope turrets indicate the direction of bullet impact, not the direction of crosshair movement. In this case, you need to adjust your scope UP and RIGHT (according to the turret markings), until the crosshairs are centered on the target. Remember to not move your rifle at all when making these adjustments.